Basic Modulation Techniques Wimax, Data bits modulate (modify) a carrier signal Basic modulation techniques, WImax techniques in details. 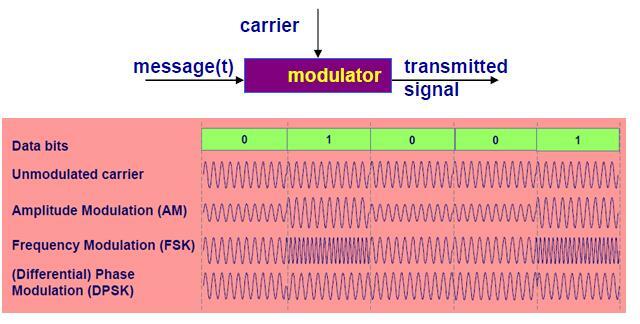 Data bits modulate (modify) a carrier signal Basic modulation techniques: amplitude frequency phase. Prior to the transmission of data, the data bits are grouped and converted to symbols. These symbols are physically transmitted over the physical transmission channel. The symbols are transformed into phase and amplitude values of the RF-carrier. Each data bit combination is coded into a symbo. The frequency fc is changed in phase or in phase and amplitude according to the symbol.